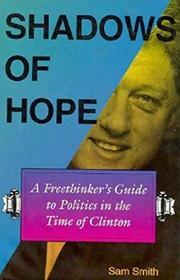  A progressive journalist offers a tonic, conversational critique of the Clinton era. Smith, editor of the Progressive Review, has an outside- inside-the-Beltway sensibility, reminding us of Clinton's campaign circumlocutions, the administration's postmodern ``voiding of ideology,'' and the journalistic culture that often ignores substance. Calling the administration unprincipled, ``a continuation of the 1980s by other means,'' Smith recalls Clinton's waffling on tax policy and Bosnia, praises a few of Clinton's appointments, but likens Bill and Hillary Clinton to Juan and Evita Per¢n (perhaps a bit unfairly, he admits) when ``it looked like much of America might simply turn over the keys of the country'' to the first couple. He scores the continuing ignoring of the poor, the rise of lawyers and the belief that a humane society can be achieved through law alone, the abstractions of ``reinventing government'' and the paradoxes of our ``toughness'' rhetoric. He reminds us, however, that the electoral system's lack of proportional representation means a plurality victor like Clinton necessarily has trouble governing. So what does Smith recommend? Most cogent is his proposal for a proportional representation voting system more like those in other democracies. In a brief section, he also urges citizens to invest attention in politics on the local scale and a reborn populism. His thoughts on such topics as neighborhood government, overregulation of small business, and a shorter work-week are interesting but sketchy. Much better at deconstruction than solutions, but an accessible catalogue for those questioning the new status quo.